Your roof does a lot for you. It provides shelter and prevents unfavorable weather conditions, it can even stave off an alien attack with the right coating, okay maybe not an alien attack but if a small meteor were to hit your roof it may bounce off. The point is, your roof defends you and your family from all sorts of bad stuff. With winter here, you will need your roof to function better than ever. Before the December snowstorms hit, it is a good idea to have a winter roof inspection. By contacting Cambridge Exteriors, South Jersey’s premier roofing contractors, you can have a winter roof inspection completed, just like that. 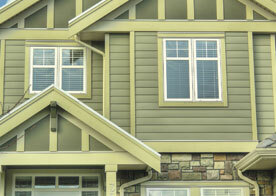 Unfortunately, winter weather conditions can take a serious toll on your roofing system. The snow, ice, and hail can add an extra strain on your roof, which ultimately causes damage and it is best to be prepared. Imagine if high gusts of wind were to break trees and snap branches, they just so happen to land on your roof. If you go without a winter roof inspection, your roof is at a higher risk of suffering roof damage caused by natural weather conditions. Not only does the weather play a role in the integrity of your roof, but if your roof is compromised it is possible that animals could move in. During the colder months, critters that are looking for a warm place to hole up for the winter might use your damaged roof as a way to make it indoors. If you suspect you will need a winter roofing inspection, check to see if you have any visible cracked caulk or rust spots. Any shingles that are buckling or curling is another sign that you should call Cambridge Exteriors for additional assistance. 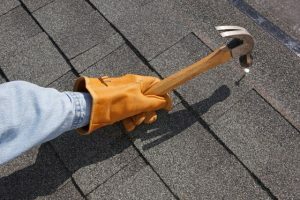 Any missing or broken shingles should be the first indication that your roof needs an inspection immediately. If you plan on selling your home in the future, having a roof inspection before winter strikes is critical to making the process go smoothly. Potential home buyers will feel more secure knowing that the quality of your roof is safe and secure. Plus it is part of many contracts that a roof inspection be conducted before the sale is finalized. After all, the new owners will need a roof over their heads, as the old saying goes. If there is a problem with your roof, whether it be from meteors, critters or weather, it is a good idea to have your roof inspected before winter. New Jersey has some incredible winters and a roof that is not prepared can be a disaster waiting to happen. 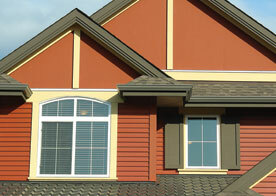 Before winter strikes, have Cambridge Exteriors perform a comprehensive roofing evaluation on your home. 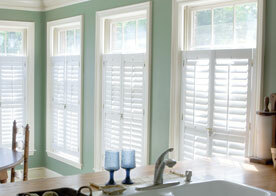 You’ll be thankful that you did after your roof stands strong and sturdy throughout the snow, ice, and hail. Our priority is keeping your home and your roof safe from the elements. We look forward to hearing from you and thank you for your business.